With a price tag of around three hundred and fifty dollars, the Dell 2335dn does actually deliver quite a bit of performance for the money, and includes optional wireless capabilities which allows this multifunctional unit to go where others can’t, while also allowing easy connectivity for an entire small office or workgroup. The unit is designed for raw speed over quality, and should be considered by those looking to produce large volumes of documents as opposed to high quality imagery. The two most obvious points of worth that the Dell 2335dn has to offer are its abilities to print over a wireless network, and to do so at incredible speed. With a letter sized print speed of up to 35 pages per minute, the device outperforms almost any wireless device within this price range. It does so by making sacrifices in other areas, but if raw speed is all you’re looking for, you’ve found the right printer. The unit’s speed is made possible largely in part by its very fast 366 MHz processor. This processor works in conjunction with 128 MBs of built in random access memory that can keep fairly complex print projects running at optimal speed. A single open DIMM slow allows for memory expansion up to a total of 384 MBs of RAM made possible by the optional 256 MB chip. The paper handling abilities of the unit are expandable, and consist of a single 250 sheet paper tray and a 50 sheet multipurpose feeder that can be used for special media types such as envelopes and card stock. With the additional 250 sheet optional drawer included, the potential maximum paper storage capacity for this device is a decent 550 sheets. Output capacity stands firmly at 150 sheets. Surprisingly, this powerhouse device also includes a built in automatic duplexor. With automatic duplexing, users can easily create double sided material without much loss in print speed. 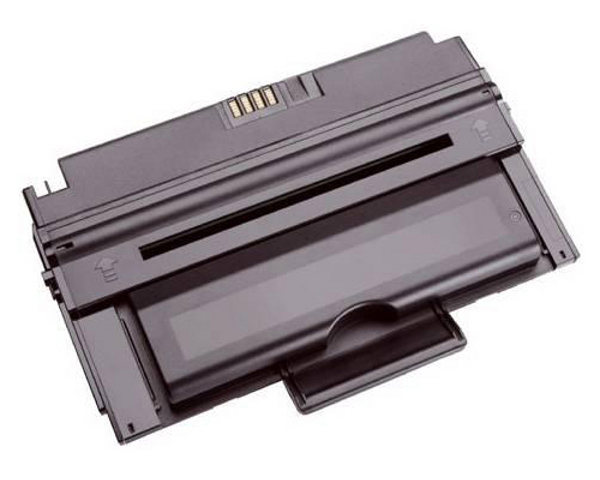 This can also help to reduce paper refill problems that often occur with a high volume printer with such a small standard paper capacity. 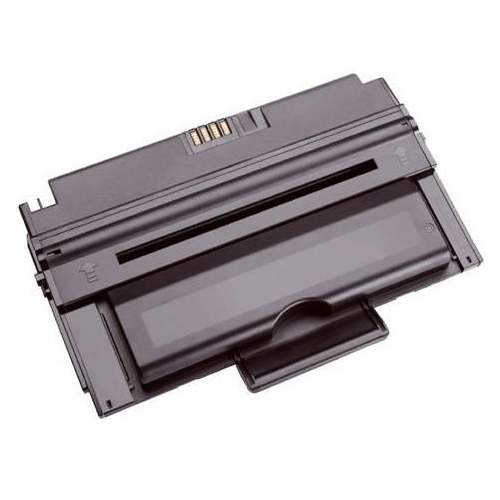 Like many Dell products, this device utilizes the company’s toner management system which sends proactive alerts when toner levels get low and can help with instant reordering. For such a low price for a network printer, there had to be a few catches. One of them is the absolute bare bones print resolution of 600 x 600 dots per inch. In order to maintain the unit’s incredible speed, this sacrifice was almost inevitable. The option for wireless connectivity is an excellent bonus, but it would have been preferable if the wireless card were included with the package, as Dell heavily promotes this product misleadingly as a wireless unit. 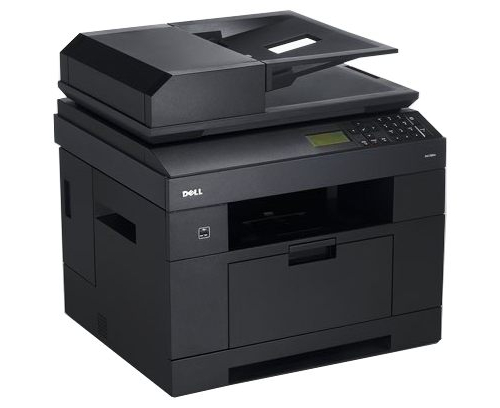 Review it: "Dell 2335dn "
Like many Dell printers, the Dell 2335dn uses a very simple toner cartridge system that consists of a single unit which is very easily replaceable. The page yield for each unit is fairly high at 6,000 page using 5% coverage, though Dell expendables are sometimes costly. Luckily, third party toner cartridges are available.